In a competitive game, the lob pass is mostly needed when an opponent is positioned directly in front of the player in possession. The player with the ball urgently wants to pass to his teammate. 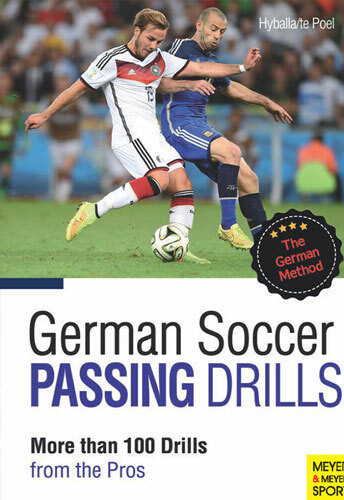 This style of passing has been mastered by some of the all time soccer greats such as Zidane, Messi and Baggio. More than 100 passing drills from the Pros. The player either needs to look for the 1v1, play via a third man, or lob the ball over the opponent. This is also called chipping the ball over the opponent. This situation is comparable to lobbing in a tennis match. The image shows a simulated lob pass situation on the wing (in a 2v3 situation) taken form the Champions League game Arsenal London (here in white/ blue) against Borussia Dortmund 09, from Nov. 12, 2011, at a 0-0 score (action starts at 5:30 minutes of playing time). opposing penalty area) and is then played as a final pass to catch the opposing central defenders off-guard. Zidane was a master of the lob pass, a technically ingenious passer. Five cones are placed in an approximately 30-x-20-m space. 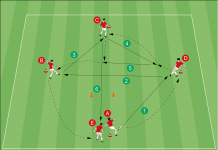 A player positions at each cone so that the passing grid will be completed with 5 players. rebound, and the first player lobs the ball over the second player to the third player, who stands opposite him about 15 m away. The third player plays the lobbed ball directly to the fourth player who stands to his side. 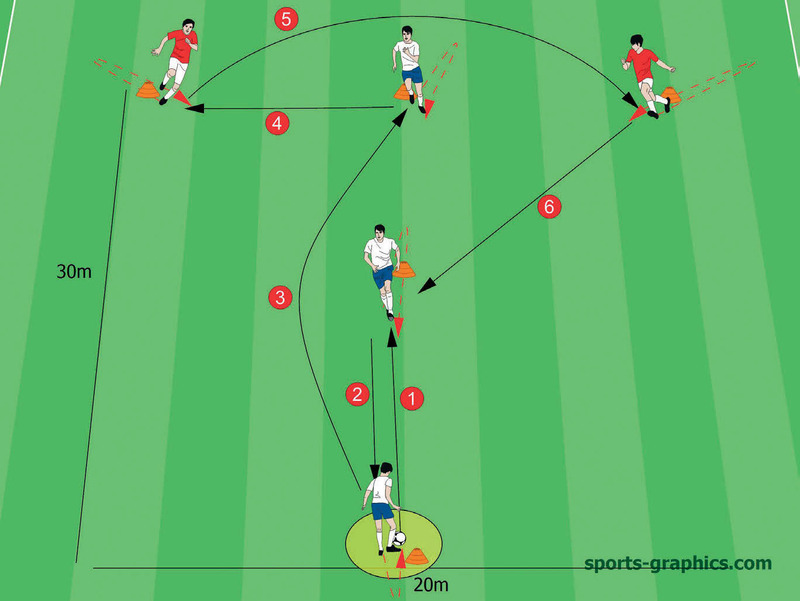 He lobs the ball over the third player to the fifth player, who then passes the ball to the second player, thereby ending the exercise. Demand body tension from all players. The ball must be lobbed hard and with precision so a new play can be initiated. Only practice the lob pass with a specific passing foot. Increase the distances and play the lob pass incisively to the teammate’s head. 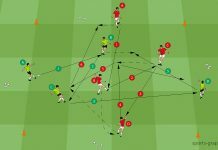 Simulate game situations: Set up two passing grids next to each other and man them with a total of 10 players. Who finishes the exercise fastest (time, bonus points, etc.)? Whereby the players in the circles switch positions with their opposites after the lob pass. After the lob pass all players must orient themselves to the respective new space (passing tactics). Don’t put too much spin on the lob pass! 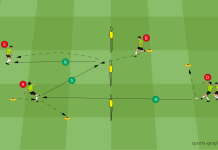 Increase the distances so that a player, for instance in the light-green circle, has to execute several lob passes at a time. He should always run after his own lob pass. In addition to passing from a closed position, the players also pass the ball to each other the ball from a double-pass situation. Add one goal with a goalie, and after the lob pass, end the complete action with a shot at goal. The player letting the ball rebound immediately becomes the defensive opponent. By doing this the player receiving the ball can decide if he wants to play offensive 1v1 or use the lob pass. Every player who used the lob pass immediately becomes the defensive opponent (long and short running paths). Demand speed and precision from the fast opponent. Encourage quick or delayed decisions11 (offensive 1v1 or lob pass) (passing tactics). 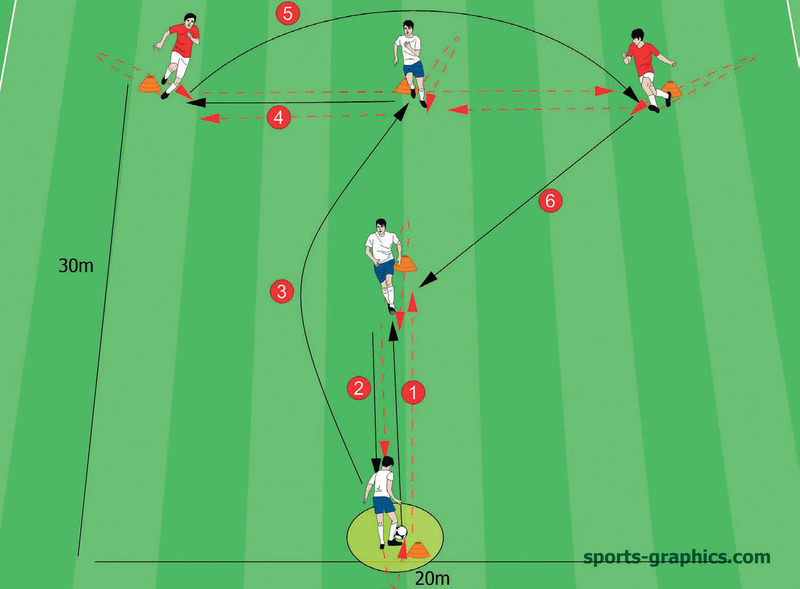 Increase distances between players to prompt the player in possession to dribble. Decrease the distances between players so that the players only require one or two touches to make their decisions. Execute the lob pass with two touches. Lob the ball into the air with the first touch and play it away with the second touch. 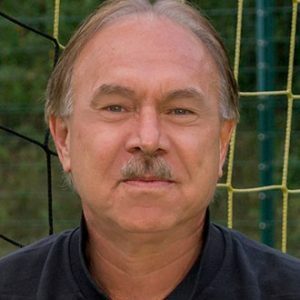 Peter Hyballa is a soccer coach certified by the German Football Association (DFB). He also holds the UEFA Pro Licence. 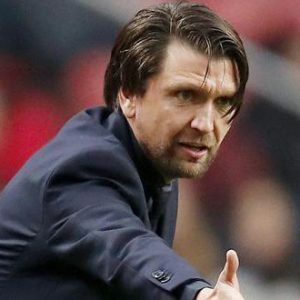 He was manager of Alemannia Aachen and Sturm Graz and is currently the manager of FC DAC 1904 Dunajská Stred in the 1st division of Slovakia. He was German U19 league runner-up and German U19 Cup runnerup with Borussia Dortmund in 2009. 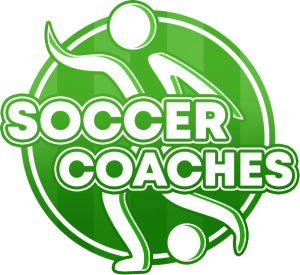 Peter Hyballa gives advanced training for soccer coaches in Germany and abroad. In addition, he is a freelance author for online seminars, training DVDs and speaker around the world. worked at state youth training centers in Essen and Straelen and federal youth training centers in Dortmund and Munich. He has written books and articles for numerous journals.